NetLight Switch controls scene selections from one device. 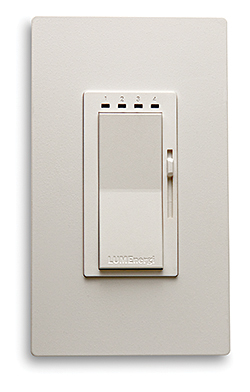 NetLight Switches can be installed in a multipoint arrangement within any functional space, synchronize to the current scene, and update dimming levels to the last setting. Has a rocker switch, slide dimmer, and four-color scene indicator, allowing lighting levels to be easily adjusted.